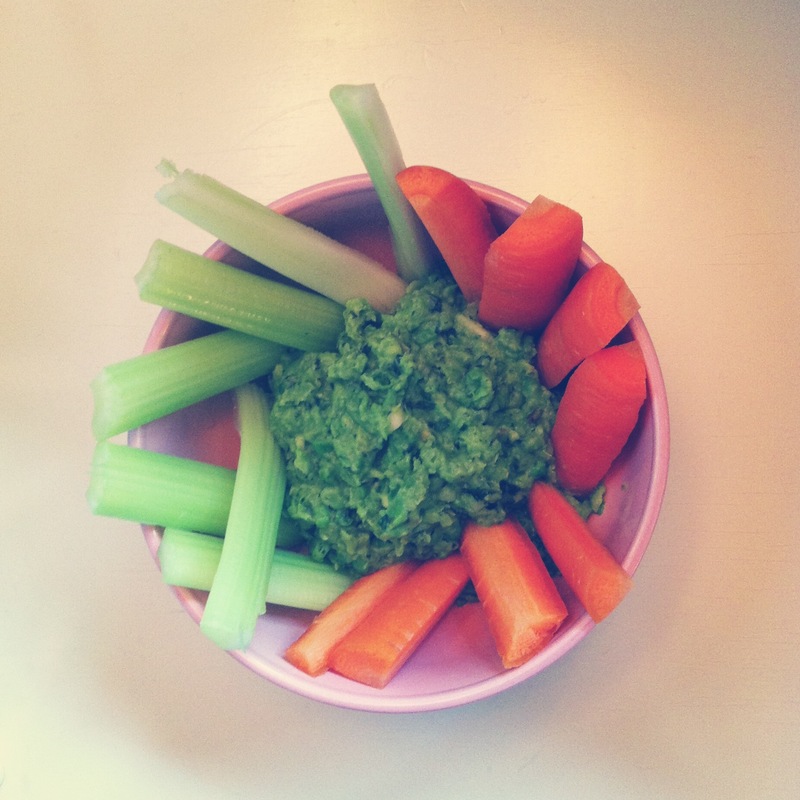 It´s a pea (and carrot and celery) party indeed! Warm some frozen peas in a pan (no water required) and chop some fresh mint and a clove of garlic (optional). Add the juice of one lemon and two reasonably big “glugs” of olive oil into a blender along with the warm peas, a pinch of Himalayan salt and whizz. Meanwhile chop up your carrot and celery and there you have it. Yum’s your uncle. Or aunt. For when you’re HUNGRY and want food in your face. Fast. P(ea).S we always try to buy organic when we can but it’s not always the cheapest (sometimes quadruple in price which isn’t easy when you’re on a budget in an expensive country). If it’s not possible to buy organic, look for the fruits and vegetables with the thinnest skin and highest water content and seek to prioritise those as organic buys. This entry was posted in health, inspiration, lifestyle, nutrition, recipes and tagged body, carrot, celery, fastfood, garlic, healthy, hummus, mint, nutrition, oliveoil, organic, pea, recipe, vegan, vegetables, vegetarian. Bookmark the permalink.